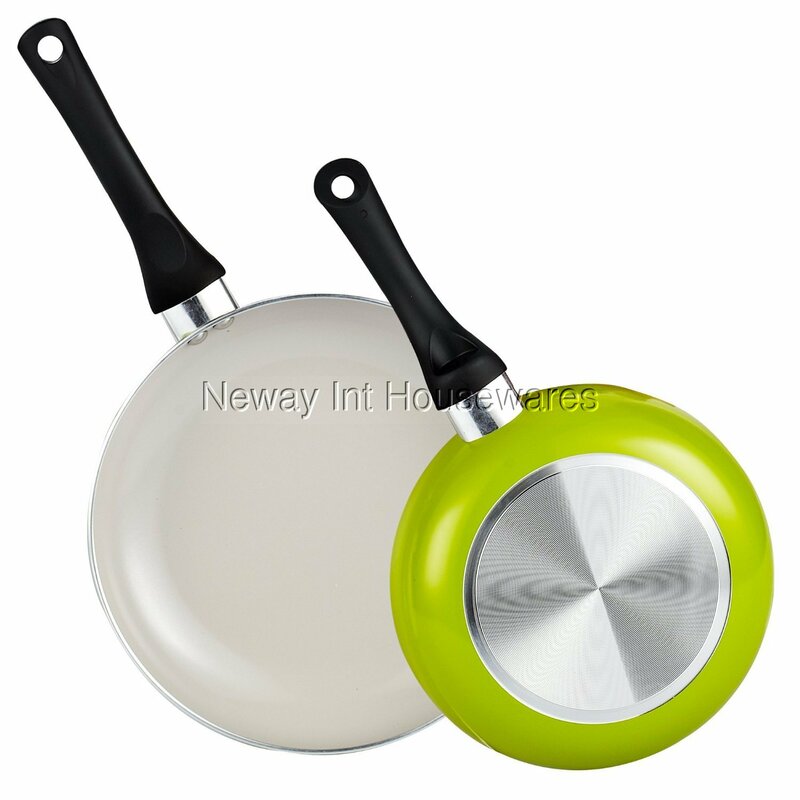 The Cook N Home 8 and 9.5-Inch Nonstick Ceramic Coating Saute Fry Pan Set, Green is made of thick gauge aluminum which provides even heat conduction and prevents hot spots. Nonstick ceramic coating is PTFE-Free, PFOA-Free, cadmium and lead free, and scratch resistant. Cook healthier with less oil/fat and is easy to clean. Soft touch handle stays cool when cooking. Exterior is resistant to high temperatures and looks great. Works on gas, electric, glass, ceramic, etc. Not Induction compatible and not oven safe. Not dishwasher safe.